One of the changes I’ve noticed since my Gender Confirmation Surgery is with my emotional state. 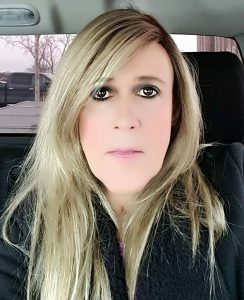 Its something we never seem to talk about when we discuss what happens to transsexual and transgender people after lengthy Hormone Replacement and surgery. I know with me, I became a chatterbox…I literally cant shut up. My emotional state has dramatically changed as well. Yesterday, I was watching a funny show on the tube and I started laughing so hard that I had tears running down my face…a true mascara nightmare. The weird thing is that at some point while I was laughing, I began to cry. I mean really sob and those tears of laughter transitioned into a “face in my hands” crying jag with my knees curled up to my chest. Why? Good question. I suspect it was a combination of my hormone levels and the emotional overload of being 5 months post surgery but it was an impressive experience. I’ve learned to “roll with the punches” as far as my emotions go. I think people in transition really have to do that or risk becoming basket cases. I know in my case, my transition has tested my emotional, intellectual and spiritual stability more than any endeavor I’ve attempted in my entire life. After 20+ years as a street cop and a stint on a nuclear submarine that’s saying a lot. What I’m saying is that “the journey” has more twists and turns than anything you may have experienced in your past. I consider myself a motivated, strong and tough woman and yet my transition took all of my strength and fortitude to achieve. Just keep that in mind through your own life’s journey and remember to duck and weave as life throws its unexpected punches at you. Previous Post Yay! Its Monday! Nice to meet you Toni and thank you Proud Trans lady for sharing. Stay strong.